DEET – Apply insect repellent containing DEET, picaridin, oil of lemon eucalyptus or IR3535 according to label instructions. Repellents keep the mosquitoes from biting you. Insect repellents should not be used on children under two months of age. 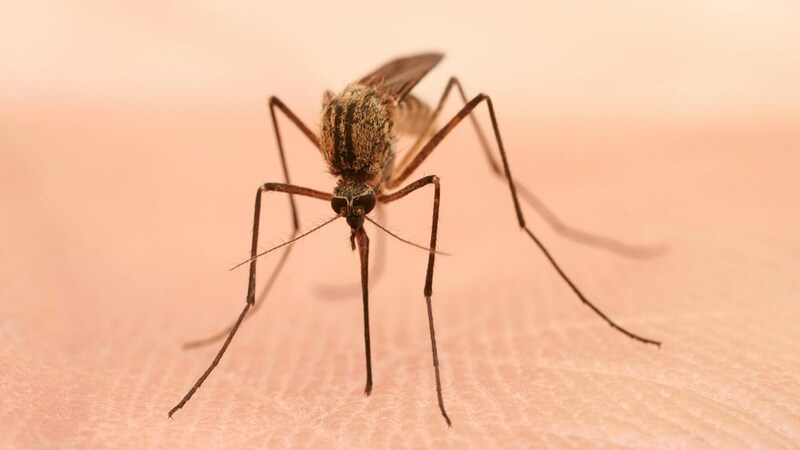 DAWN AND DUSK – Mosquitoes that transmit West Nile Virus usually bite in the early morning and evening so it is important to wear proper clothing and repellent if outside during these times. Make sure your doors and windows have tight-fitting screens to keep out mosquitoes. Repair or replace screens that have tears or holes. DRAIN – Mosquitoes lay their eggs on standing water. Eliminate all sources of standing water on your property by emptying flower pots, old car tires, buckets, and other containers. If you know of a swimming pool that is not being properly maintained, please contact your local mosquito and vector control agency. 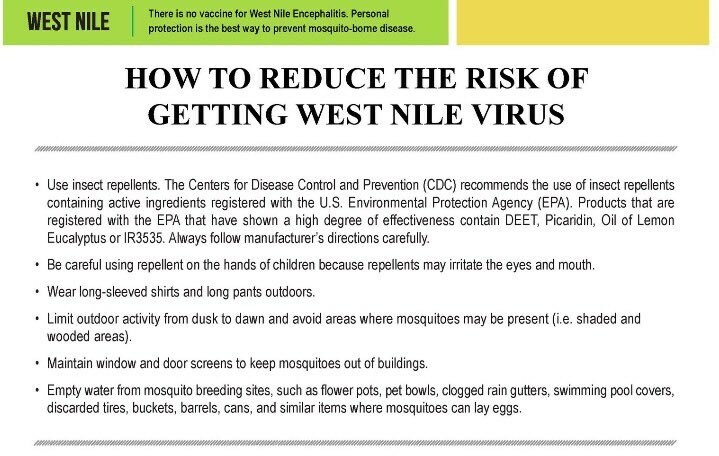 California’s West Nile virus website includes the latest information on WNV activity in the state. Californians are encouraged to report dead birds on the website or by calling toll-free 1-877-WNV-BIRD (968-2473).